French is one of the most widely spoken languages in the world. When you’re looking to globalize your business, one of the more effective strategies is to translate your online articles and content from English to French. There are a number of businesses that offer English to French translation services, and by hiring French translation services, you will have the opportunity to expand your business into one of the largest global markets in the world. 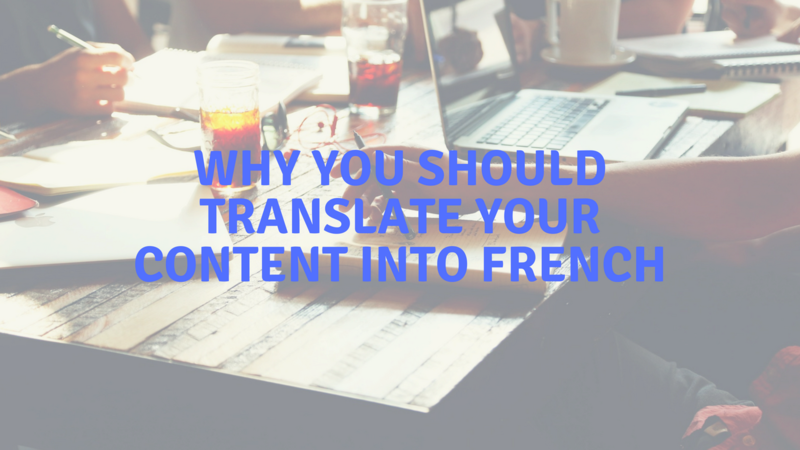 There are several reasons why translating your online content into French is a smart business decision. Across the world, there are over 220 million potential customers that speak French. After English, it is the most widely taught foreign language and is the sixth most spoken language on Earth. It is one of the official languages of Europe, North/South America, Asia, Africa and the French Polynesia. There is even a small research station in Antarctica that houses 33 French-speaking residents. The French-language is a true global language. On the long-term front, the number of those who speak French across the world is rapidly growing. Projections show that the French-language could be spoken by as many as 500 million people in 2025 and 650 million people by 2050. France is also responsible for the largest international network that promotes cultural institutes. So, to say that French-language markets are a huge source of potential business for any entrepreneurs or small businesses would be a massive understatement. When looking to expand your customer-base on a global scale, it’s important that you employ English to French translation services for your online content. To gain a huge advantage in the international market for business, speaking both French and English is a must. By incorporating a French website translation, you are opening your online market to not only companies located in France, but major companies in Canada, Belgium, Africa and Switzerland. France holds the fifth largest economy in the world and is the third-highest ranked destination for investment from foreigners. If you want to expand your business into the European market, having your content translated into the French-language is a must. For now, the French-language is the second-most widely spoken language in Europe, with German being the most spoken native language. However, by the year 2025, it is expected that the birth rate in France will make it so that French will overtake German as the most spoken native language. There are over 87 major international organizations that have French as their official spoken-language. Some of these international organizations are household names and could be major sources for potential business growth. These industries include the Red Cross, North Atlantic Treaty Organization (NATO), The United Nations, The International Federation of Association Football (FIFA), the World Trade Organization, and the North American Free Trade Agreement (NAFTA). Employing English to French translation services for your company would allow you to tap into a huge, global market with a wide variety of niches and demographics.